The Prime Minister of the United Kingdom recently appointed one of her ministers, Tracey Crouch, to lead an inter-governmental group tasked with countering a growing epidemic of social isolation and loneliness. The appointment was made in response to a report published by the Commission on Loneliness, set up to honour the late Jo Cox, a Labour MP who had campaigned about loneliness. While social isolation and loneliness can affect individuals of any age, gender or circumstance it is perhaps more pronounced in our aging population. 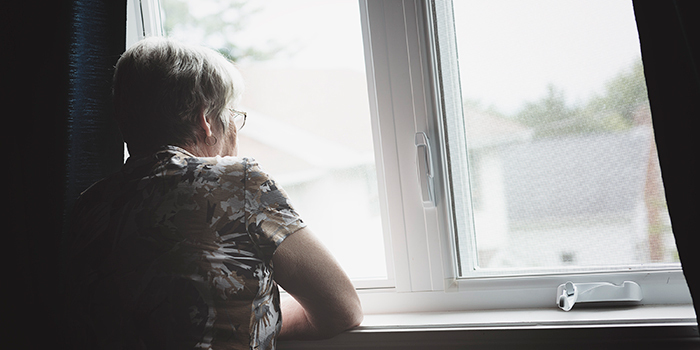 Life transitions such as retirement, death of a spouse, health and mobility issues increase the risk of social isolation in seniors and are a growing cause of concern in Canada. What can be done about this? While many levels of government are working to identify the complex causes to social isolation in our society and implement solutions, we also need to start a conversation in our own communities to bring the issue to light. For too long a fear of social stigma has prevented individuals from admitting to loneliness and perhaps with an increased awareness of its prevalence many of our seniors will no longer suffer in silence.